R.Nachimuthu won the RM275,000 Maybank Players Championship at Kuala Lumpur Golf & Country Club today in tense playoff with Lam Yu Shuen to secure his second victory of the year. 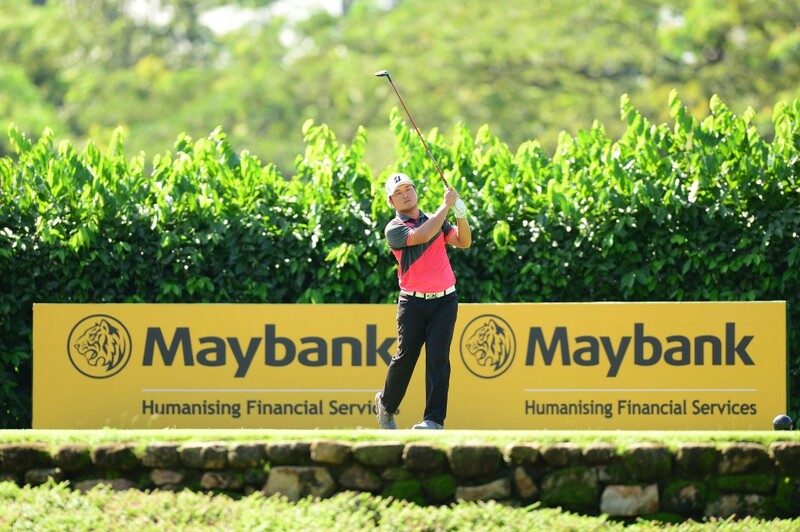 The 43-year-old multiple Professional Golf of Malaysia (PGM) Tour winner shot an even-par closing round 71 to finished deadlocked with Lam, who carded an impressive final day four-under 67, on seven-under 277. 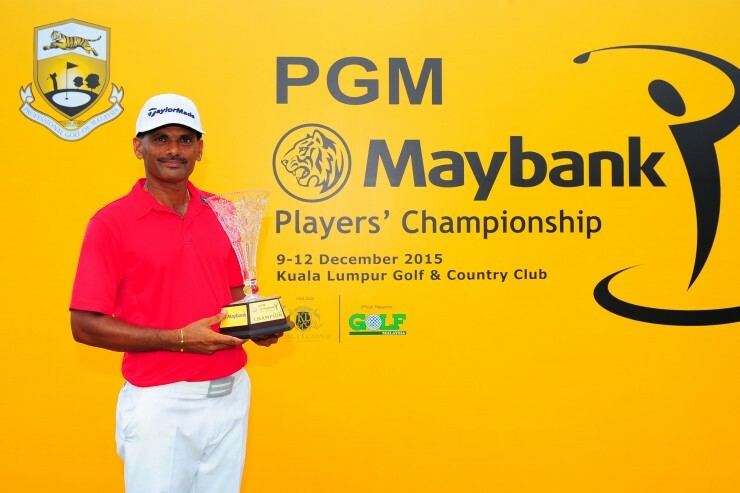 The top-two then went into a sudden-death playoff from where Nachimuthu emerged with the silverware and a cheque of RM47,150 – the biggest on Tour. There was a two-way tie for third place with Khor Kheng Hwai (70) and Gavin Green (71) finishing with five-under 279s in the event that brought the curtain down on the 2015 season. Mohamad Azman Basharudin (72) was fifth another two strokes back on 281, while Sukree Othman’s 69 lifted him to joint sixth with Ben Leong (73) on 282. Lim Eng Seng (74) was only other player under-par for the tournament on 283 in eighth place. It was a topsy-turvy day for Nachimuthu, who despite his ups-and-downs was delighted with the outcome. The Tour veteran was two-over for the first nine, giving given shots back at the 4th and 9th holes – both par-4s. But Nachimuthu fought back with a three-birdie-run from the 12th and another at the 17th hole. However, bogeys at the 16th and 18th holes left the door open for Lam, and the playoff. Lam’s round was a solid one as he signed for five birdies and gave just one stroke back at the 12th hole. Happy with his win Nachimuthu said afterwards: “It was a long, tough day. Nothing went my way over the first nine and I dropped to five-under. “But I came back strongly with the three birdies at the 12th, 13th and 14th holes and then another at the 17thhole. The bogey at the 16th was because I found the water and then on the last hole I was in the bunker and came up a bit short from there. “Still I am happy with how it ended. It is good to close out the season with a win,” added Nachimuthu, who also won Kelantan Closed Championship in March and was Tour’s 2011 Player of the Year. Green, who moved himself into contention yesterday as he started the final round in second place and a mere two shots off the lead, said: “I tried my best but the start was what ruined it. I was bogey and double-bogey over the first two holes. “But I kept trying to get back into it and in the end I finished even-par, which was not too bad in the circumstances. Of course, I would have liked to have won but it was not easy out there today,” said the lad who only turned pro in the middle of the year and already won once – at Danau. Looking ahead, Green added: “I’ll be taking some time off now and I feel I need as I have been playing non-stop over the last three months or so. Maybank chairman Tan Sri Megat Zaharuddin Megat Mohd Nor, who followed the action from outside the ropes, said they were happy to be given the opportunity to be of the PGM Tour and help with the development of the local pro game. 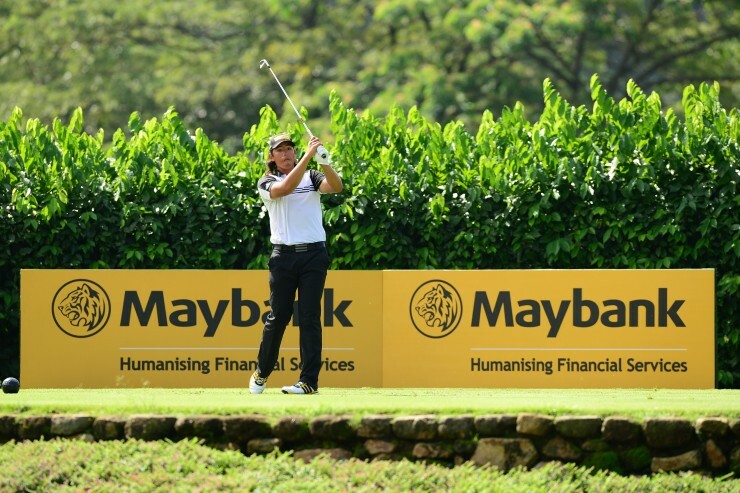 The winner of today’s Player Championship gets an invitation to the event that Maybank will host at Royal Selangor Golf Club in Kuala Lumpur for the first time – one that will have a US$3 million prize purse.